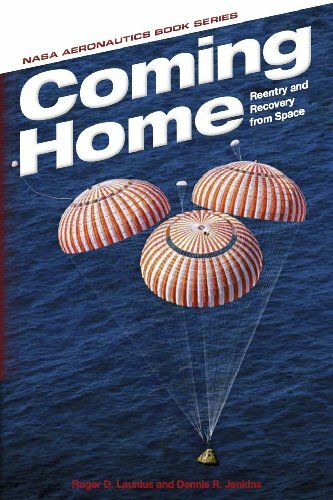 Returning to Earth after a flight into space is a fundamental challenge, and contributions from the NASA Aeronautics Research Mission Directorate in aerodynamics, thermal protection, guidance and control, stability, propulsion, and landing systems have proven critical to the success of the human space flight and other space programs. Without this base of fundamental and applied research, the capability to fly into space would not exist. Volume 1 of the memoirs of academician Boris Chertok, translated from the original Russian. Describes his early years as an engineer and ends with the mission to Germany after the end of WWII when the Soviets captured Nazi missile technology. The book describes one phase of the U.S. civilian space program -- the journey of the Mariner spacecraft to the vicinity of Venus and beyond. It reports upon the measurements taken during the 'flyby' on December 14, 1962, 36,000,000 miles from Earth.